I thought I would give the Honeycomb precuts a try. 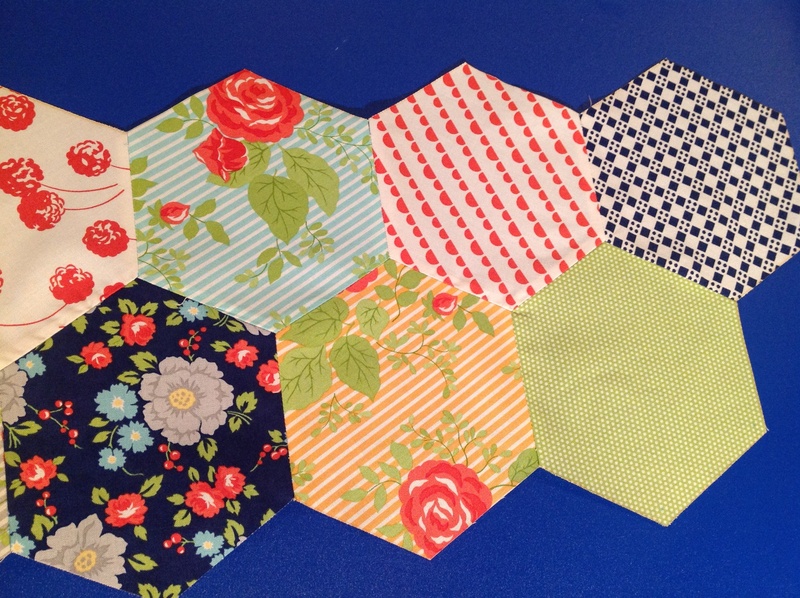 Having never worked with hexagons, I found the moda bake shop YouTube video and 1 PDF instructions very helpful. It’s coming along nicely and I am very greatful for my sewing machines…tie offMon feature which helps secure all these hex points. The finished product will be wall hanging size. I thought I would use over size running stitches in contrasting DMC floss and vintage buttons in each hex for the quilting size of it.